Should your next holiday include a safari, whale watching, or a trip to a tiger temple? Ecotourism has recently been in the spotlight. For instance, we’ve seen claims that tourism helps conserve tigers and that it has been linked to wildlife trafficking. But how can we tell if ecotourism is good or bad for threatened species? In our research published today in PLOS ONE we looked at nine different species, and found that overall, ecotourism is good for wildlife. France has unveiled plans to cover 1,000 kilometres (620 miles) of roads with solar panels. The French Minister for Ecology, Sustainable Development and Energy, Ségolène Royal (pictured), made the announcement this week in a move that will help France achieve its renewable energy targets. The world is moving more quickly towards renewable energy than people thought even a year ago, and Australia can expect an imminent boom in large-scale solar investment, according to Grant King, the CEO of Australian energy utility Origin Energy. NEW ZEALAND – Scientists have turned to an intriguing place to source cheaper, more efficient energy – blazing-hot magma kilometres below the ground. The concept is being explored in one of 18 international research collaborations justawarded nearly $5 million in government funding. Given its huge success in describing the natural world for the past 150 years, the theory of evolution is remarkably misunderstood. In a recent episode of the Australian series of “I’m a Celebrity Get Me Out of Here”, former cricket star Shane Warne questioned the theory – asking “if humans evolved from monkeys, why haven’t today’s monkeys evolved”? …Many studies have tried to determine why evolution is questioned so often by the general public, despite complete acceptance by scientists. Although no clear answer has been found, I suspect the common misconceptions described below have something to do with it. It’s mid-February and along Britain’s south coast gilt-head bream are drifting from the open sea into the estuaries. Meanwhile, thousands of little egrets are preparing to fly to continental Europe for breeding season, though a few hundred will remain in the UK. Across northern Europe, young wasp spiders will soon scamper out of their silky egg sacs. And this summer, countryside visitors throughout the south of England will catch sight of iridescent blue flashes as small red-eyed damselflies flit across ponds. These events all have one thing in common: they’re happening much further north than they would have as recently as 20 years ago. One of the big problems with the world’s heavy carbon emissions is that they are driving up the levels of carbon dioxide in our oceans, which is making them more acidic. The surface pH of the oceans has already dropped from 8.1 to 8.0 over the past couple of decades, and is projected to reach 7.7 by 2100 – a huge change in biological terms. This is reducing the carbonate in the water that marine organisms including shellfish, corals and sea urchins depend on to make their shells and exoskeletons. 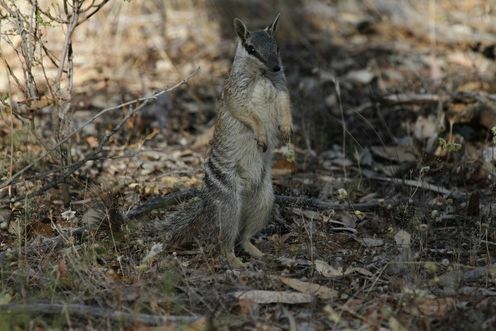 Southwest Australia is one of 25 original global hotspots for wildlife and plants, and the first one identified in Australia. Since the first analysis identifying biodiversity hotspots in 2000, the list has expanded, and now 35 hotspots are recognised, two in Australia: the Southwest and the forests of east Australia. Biodiversity hotspots are defined as regions “where exceptional concentrations of endemic species are undergoing exceptional loss of habitat” … This opens the way for a conservation strategy, focusing on these hotspots in proportion to their share of the world’s species at risk. The world’s climate is already changing. Extreme weather events (floods, droughts, and heatwaves) are increasing as global temperatures rise. While we are starting to learn how these changes will affect people and individual species, we don’t yet know how ecosystems are likely to change. Research published in Nature, using 14 years of NASA satellite data, shows eastern Australia’s drylands are among the most sensitive ecosystems to these extreme events, alongside tropical rainforests and mountains. Central Australia’s desert ecosystems are also vulnerable, but for different reasons. As the world warms, this information can help us manage ecosystems and to anticipate irreversible changes or ecological collapse. A Northern Territory fishing body and independent politician have added their voices to those concerned about a huge expansion of a NT sandalwood plantation. Leaked government documents, obtained by the ABC, show the Department of Chief Minister supported a potential tripling of sandalwood production in the Northern Territory. This was despite government department warnings there is not enough water for the ambitious expansion plan and that similar schemes have failed. 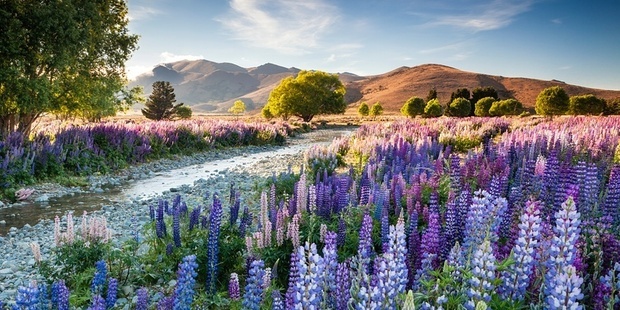 An award-winning Kiwi photo is coming under the environmental microscope because its idyllic mauve carpet is made up of lupins. The flowers are pretty but they are running over New Zealand’s wildlife, pushing out native birds that rely on the increasingly scarce native flora lupins are replacing. NEW ZEALAND – A 565 hectare space in the northern area of the park has been chosen because it has high wasp numbers but also a high concentration of people. Traps containing the newly formulated wasp poison called Vespex will be set once the organisation has met the requirements… Before poison can be set, a threshold of 20 wasps on the non toxic lure in one hour has to be met. Vespex is formulated with a protein lure and therefore is not attractive to bees. 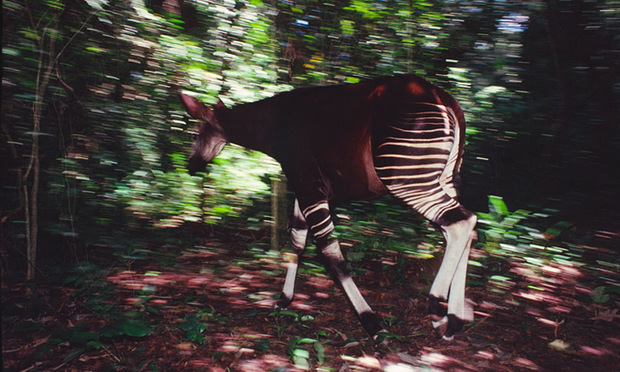 Conservationists have called for urgent action to stop armed militia and illegal mining in protected central African forests from driving the elusive okapi to extinction. A 10-year plan to save the “forest giraffe” drawn up by a coalition of conservation groups and NGOs calls for government and international commitments to support key protected areas from armed militia involved in ivory poaching and illegal gold-mining activities. In an effort to provide a boost to the global network of companies already signed up to its sustainability reporting standard, the Global Reporting Initiative (GRI) has this week launched a membership and engagement programme to promote those businesses pushing for greater transparency on sustainability issues. The new scheme, dubbed the GRI GOLD Community, was officially launched on Tuesday, bringing together over 550 organisations representing more than 35 sectors. When it comes to engaging stakeholders, employees are at the top of many corporate sustainability managers’ agendas. Some 73 percent of companies are engaging employees across their organization educating them about corporate sustainability goals, according to a 2014 GreenBiz survey. The business benefits of engaging employees on corporate sustainability initiatives are well-understood — If employees feel they are working towards a good cause, it can increase their productivity by up to 30 percent, according to a study by the Center for Economic Studies. Technology giant Apple has issued $1.5 billion in green bonds to finance low-carbon projects across its global operations. The bond is the largest of its kind to be issued by a U.S. company, according to Apple’s head of environmental policy. The California-based firm said the finance generated by the green bonds will go towards renewable energy projects, energy storage and energy efficiency, green buildings and resource conservation. Ford Motor Company has become the latest high profile company to end its association with the American Legislative Exchange Council (Alec). The car maker reportedly told the Center for Media and Democracy (CMD) that it has cut ties with the controversial free market lobby group and will not take part in any of its activities this year. Ford did not specify to CMD why it has left the group, which is well known for its efforts to stymie the progress of environmental legislation at state level in the US, saying only that the decision stems from its annual budget review. Electric vehicles are starting to gain serious traction in New Zealand, with New Zealand Post this month announcing it has committed to investing $15 million in electric delivery vehicles for its mail and parcel business. This will give it what is believed to be the country’s largest EV fleet. The importance to Australia’s economy of certain multi-million-dollar industries may be hampering efforts to protect threatened marine life and birds, a Senate inquiry has been told. A federal parliamentary committee is investigating the threat of marine plastic pollution in Australia and its waters, and is holding its first hearing in Sydney. The inquiry has heard evidence from five ecologists and scientists that microplastics or microbeads can affect the health of humans and marine animals. These range from inflammation, to breaks in an animal’s DNA and ultimately death. The tiny particles can be found in common scrubs, face washes, soaps and toothpastes. USA – Justice Antonin Scalia left an indelible mark on American law. His prodigious intellect, distinctive style and sharp wit will be sorely missed by his family, friends and colleagues. His passing also creates a once-in-a-lifetime opportunity to shift the balance of power on the Supreme Court toward greater protection for the environment and greater access to the courts by those most affected by pollution and resource degradation. A look at Scalia’s legacy reveals why his absence in the coming months could be a pivotal factor on environmental issues. “The California you don’t see on postcards” is featured in a new web series: Spotlight California. In each episode, comedienne Kiran Deol speaks to community activists and people directly affected by issues such as the state’s drought, high gas prices, and the racial disparities of air pollution. AUSTRALIA – The latest report card on the state of the environment between 2011–2015 is overwhelmingly positive, showing the ACT is leading the way in conservation management, climate mitigation and caring for the environment. The results are also a step up on the previous ACT State of the Environment report, showing the territory has lowered its overall ecological footprint to 8.9 global hectares from 9.2 global hectares. But the report noted the footprint was still the largest in Australia and three-and-a-half times the world average. AUSTRLAIA – Anglers say they are yet to be convinced that inland rivers will benefit from a virus that kills carp. Researchers believe the koi herpes virus, discovered overseas in the 1990s, is a promising control measure. South West NSW Angler’s Association secretary Terry Maloney wants carp controlled, but wants to be sure there is no unintended impact. He used the recent outbreak of Zika virus in South America as an example of a virus lying dormant.